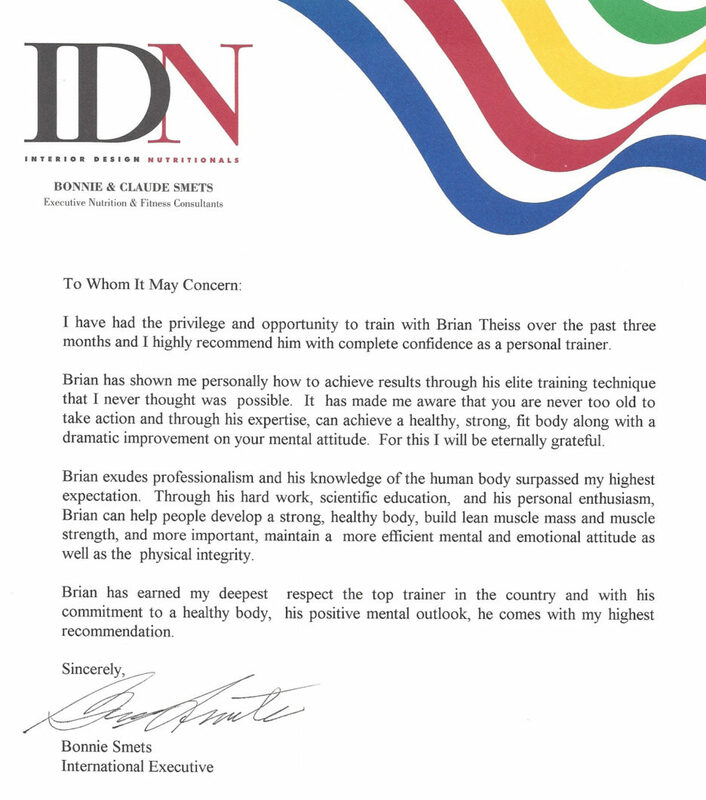 I have had the privilege and opportunity to train with Brian Theiss over the past three months and I highly recommend him with complete confidence as a personal trainer. Brian has shown me personally how to achieve results through his elite training technique that I never thought was possible. It has made me aware that you are never too old to take action and through his expertise, can achieve a healthy, strong, fit body along with a dramatic improvement on your mental attitude. For this I will be eternally grateful. Brian exudes professionalism and his knowledge of the human body surpassed my highest expectation. Through his hard work, scientific education, and his personal enthusiasm, Brian can help people develop a strong, healthy body, build lean muscle mass and muscle strength, and more important, maintain a more efficient mental and emotional attitude as well as the physical integrity. 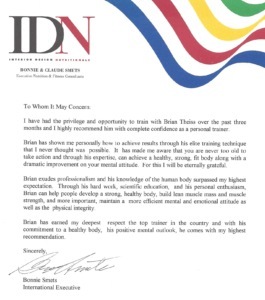 Brian has earned my deepest respect as the top trainer in the country and with his commitment to a healthy body, his positive mental outlook, he comes with my highest recommendation.